Sell scrap silver or unwanted jewelry in Chattarpur. Competitive prices for exchange gold into cash in Delhi NCR. Sell any kind and form of silver, diamond or platinum apart from silver. Then be happy as we are here to provide these services exclusively. We, at Cash for Gold are one of the most leading buyers of valuable ornaments or other forms. We are present with more than 20 outlets in all over Delhi NCR. Also feel free to sell jewelry online in Chattarpur with us as we have secured online facility. Apart from this, multiple payment options are available via cash or online payment. You can sell your gold for cash in very simple manner with Gold Buyer in Chattarpur. Therefore, get connected to us without any hesitation even if when you have used, broken, damaged or scrap of ornaments. We always accept old, second hand, damaged, broken or unused articles, silver, diamond and platinum in Noida, Gurgaon and Chattarpur New Delhi. We buy all the forms of the metals as mentioned above. There are no any hidden charges associated in our process. We offer best highest price for your article than provided by anyone else in the market. You have the opportunity to earn handsome profit on your transaction with the help of our expert guidance. Our process is very quick and simple. We have easy returns policy available with us. Take return of your jewelry back in case you want it back without any charges. Transaction with us is fully secured and guaranteed. Payment of immediate cash is available. Free home Pick up Service is available from your place within 45km radius. We use certified XRF technique to assess purity in your item to derive its best value. This process of selling you silver with us doesn’t cause any type of loss in your item. 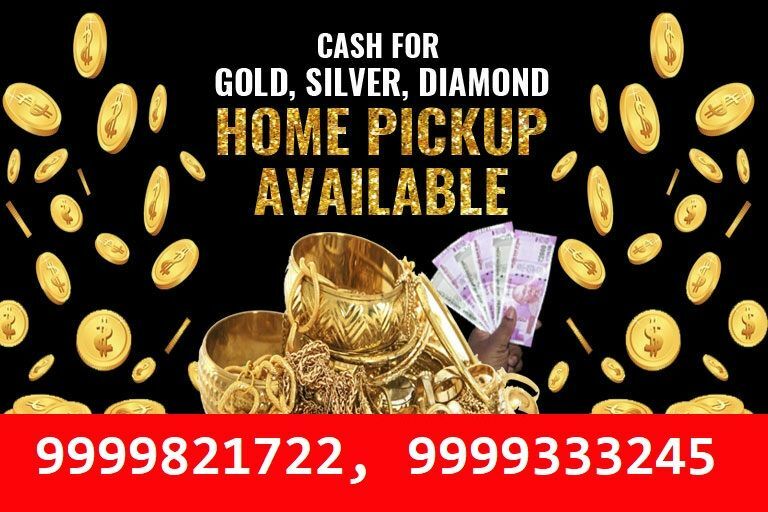 To know more about visit us at Gold Buyer Chattarpur and sell gold jewellery for cash, you also speak to our jewelry experts, if you are interested to get a free quote and free service in the way. Contact us at 9999333245, 9999821722.